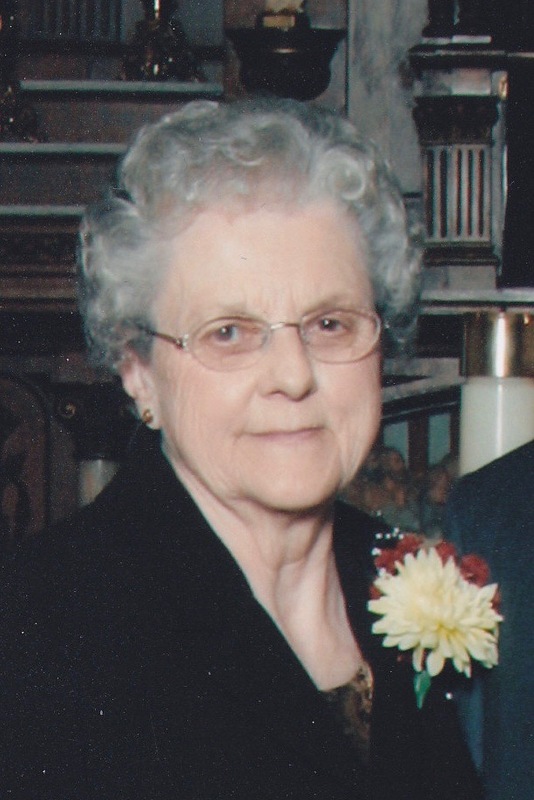 Joanne Marlys Peterson, age 89, of Cokato died Saturday, February 9, 2019 in St. Cloud, MN with her family at her side. Joanne Marlys Peterson was born July 23, 1929 to Vernie and Irene (Larson) Nelson in her maternal grandparents’ farmhouse south of Cokato. She was baptized at the Stockholm Lutheran Church. In 1937 her parents moved their family to a farm north of Cokato. Joanne often remarked that she lived all but seventeen years of her life on that farm, which her son Larry now owns and runs. Joanne was confirmed in the Cokato Evangelical Lutheran Church and graduated from Cokato High School in 1946 at age sixteen. She began a lengthy and rewarding office career at age seventeen when she moved to Minneapolis with her sister, Maejelle, to work as a typist for Amundson Letter service. She married Ralph D. Peterson on June 30, 1951 at Cokato Evangelical Lutheran Church. While Ralph was in the army, the couple lived in Arlington, Virginia. During those years Joanne worked for an insurance company just three blocks from the White House until their first child, LaDonna was born. The couple eventually returned to Minnesota and resided in Minneapolis, where Joanne worked in the Medical Arts building for physician C. M. Larson, Chief of Staff of the Swedish Hospital. In 1964 they moved to the farm where Joanne grew up. Joanne then worked for C&H Ag Service in Cokato for twenty-four years as an accountant and office manager. She retired from that position in 1996. Joanne was known for her work ethic. In addition to working full time, raising a family, and keeping a spotless home, she drove tractors and performed other farm work as needed. Joanne was fiercely protective and proud of her family. She loved taking care of her special-needs grandson, Dean, whenever she was needed. Through many years of heart-health problems she would remark, “I have to keep going for my Deanie.” She also enjoyed baking, cooking, and trying new recipes. She combed through magazines and newspapers looking for recipes and, in fact, the day before she passed she clipped two recipes she wanted to try. She also read her well-worn Bible daily. Joanne is loved and missed by daughters LaDonna (Scotty) Wylie and Cynthia (Daryl) Pischner, sons Alan Peterson (special friend Joan Breczinski), and Larry (Kris) Peterson; five grandchildren, Kari (Jeremy) Wylie Johnston, Joshua (Jody) Wylie, Jonathan Pischner, Katie Peterson, and Dean Peterson; four great-grandchildren, Payton and Gracee Johnston and Tanner and Tyler Wylie; and sister, June Frieberg, of Red Wing. Joanne was preceded in death by her husband in 2014, her parents, brother, Dean, and sister, Maejelle. The funeral service will take place on Thursday, February 14 at 2 p.m. at the Evangelical Lutheran Church in Cokato. Internment will be at the Evangelical Lutheran Cemetery in Cokato. Visitation will be Wednesday, February 13 at 4:00 – 7:00 p.m. at Swanson-Peterson Funeral Home in Cokato and again one hour prior to services at the church. Arrangements were by the Swanson-Peterson Funeral Home and Cremation Services of Cokato, www.swansonpeterson.com.